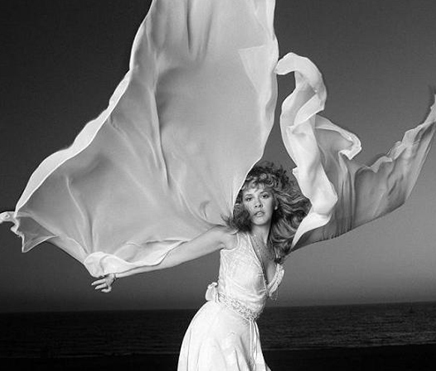 American singer and songwriter Stevie Nicks is best known for her poignant role in Fleetwood Mac as well as her extensive career as a solo artist in the 80's. Nicks joined Fleetwood Mac in 1974. She wrote "Dreams", the first and only Fleetwood Mac single to hit #1 in the US. In 1981, she began her solo career with "Bella Donna" which hit #1 on the Billboard 200. Some of her hit songs include, "Stop Draggin' My Heart Around" (with Tom Petty & the Heartbreakers), "Leather and Lace" (with Don Henley), "Stand Back", "Talk To Me" and "If Anyone Falls".